I'm no beauty expert, but I frequently get asked about my favorite products, and I DO have a couple of years of beauty editorship from ELLE.com under my belt, so I figured I'd use this space to tell you guys about a few of my staples, starting with the all-important face wash. Through the years, I've probably tried upwards of 20 different cleansers from as many brands--Clinique, Clarins, DDF, Lancome, Estee Lauder, etc. While some have been great, I've never found one that was quite perfect, one that would make me stop searching. 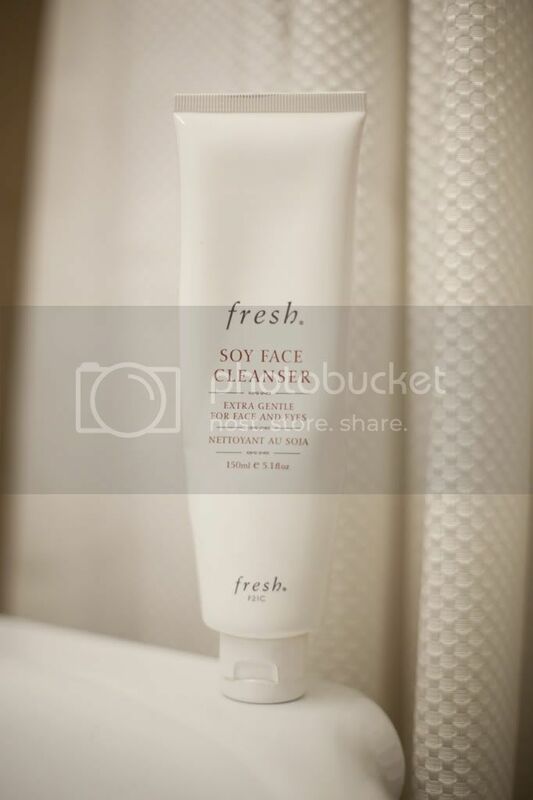 Until I discovered Fresh's Soy Face Cleanser. It's super light, foams up nicely, is incredibly gentle and non-drying on the skin, yet does a completely thorough job cleaning it. And that's saying a lot coming from someone who lives in dirty, pollution-heavy NYC AND has borderline oily skin to boot. Plus it has this really subtle, slightly nutty scent to it that I love. I have tried it once. I got the whole 3 step system sample from a Sephora purchase one time. I liked it but the smell turned me off. It reminded me of almost nuts and cucumbers. The formula was nice though like you said. I like the sounds of this! I just might have to try it! Do you have any makeup remover recommendations? Tanks for the recommendation. I love hearing about which beauty products people love. Any recommendations for eye creams? (I can't find one that really works. )Fashion month has the dark circles and puffy eyes in full effect. Alisha, I use simple Pond's Cold Cream to take off my eye make-up at night! It's an oldie but goodie. And Lindsay, my eye cream post is coming shortly! Buy face creams with a moisturizing element. Sufficient moisture content on the dermal layers is essential in keeping them smooth and healthy. Well-moistened skin also prevents early appearance of wrinkles, especially on the face.